Original, Modern Abstract, Art Deco Style. Indian ink drawing on paper. 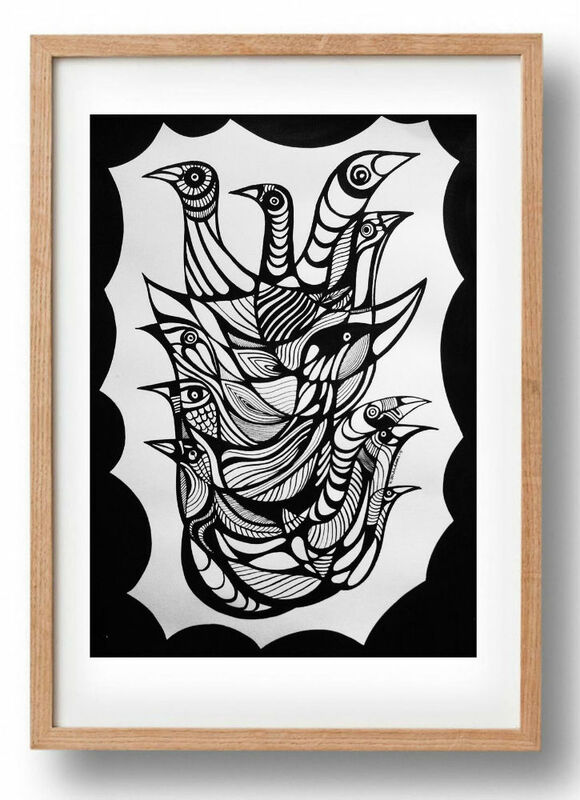 ‘Birds’ by Koola Adams 40cm x30cm . One of a kind. I stress that this artwork is a unique, original drawing and not a print, signed and dated by the artist.